It’s that time of year when quilters and sewists are ramping up sewing projects to get gifts made for the holidays. This is when easy, fast quilt patterns and sewing with pre-cuts can be really helpful in reducing stress, saving time and producing a beautiful gift in time for gift giving. Daydreams of Quilts has produced patterns just for these types of projects and they work for beginner and advanced quilters alike. Here is a round-up of Daydreams of Quilts patterns that can you out this season. Try the “Being Charming is a Plus” pattern to use up charm packs that you’ve collected to make a 4 ft. x 5 ft. lap quilt. This pattern is available on Craftsy and Etsy. Being Charming is a Plus quilt made with all Cotton + Steel fabrics. Being Charming is a Plus quilt made with all Bonnie & Camille for Moda fabrics. Don’t have time to sew your own? This one is available for sale here. Read more about this quilt pattern and see more samples of the quilts in this post. Another pre-cut friendly Daydreams of Quilts pattern is the Tokyo Starflowers Quilt. This pattern uses layer cake squares (10″ squares). This pattern is available on Etsy and Craftsy. Read more about this pattern in this post. Tokyo Star Flowers quilt designed and made by Daydreams of Quilts with Cotton + Steel “Tokyo Train Ride” and Basics fabrics. One more fast and easy Daydreams of Quilts pattern is the “Rental Cottage Quilt.” The sample is made with yellow on a white background but this could easily become a Christmas quilt with Red and Green fabrics instead of yellow. Find this one on Etsy and Craftsy. Read more about this quilt here. Or perhaps you would like to embroider an ornament or an embellishment for a gift bag. How about a cute Christmas Cactus from the Daydreams of Quilts “Succulent Sweeties” embroidery pattern? Find this one on Etsy and Craftsy. The remainder of this post contains affiliate links to Craftsy. If you click on the links and make a purchase it is possible that I may receive a small affiliate commission. Thank you for supporting my blog. I know this is the time of year to give to others but often times I am tempted to get a gift for myself along the way. Here are some Craftsy classes I have taken that I recommend for sewing quilts that look harder than they are and come together very quickly. I have really enjoyed, and continue to enjoy, these classes. Once you purchase a class you can watch it as many times as you like (in as many different pyjama outfits as you like in my case) because you have unlimited access to it. You can also ask questions of the class instructor. They also have a 100% money back guarantee. I love Camille Roskelley’s classes “Playful Piecing Techniques” and “Pre-Cut Piecing Made Simple” which both use pre-cuts. Classes include some of Camille’s patterns from her shop, including the iconic Swoon quilt (in the latter link) with her instructions and tips as well as some projects exclusive to the classes. The “Hashtag” quilt (above) and “Piece of Cake 3” quit (below) are quilts I made from Camille’s Craftsy classes. I have also taken Angel Pingel’s class “Simple to Stunning: Disappearing Blocks with Pre-Cuts” and Amy Smart’s class “Pre-Cut Shortcuts: Quilt Tops in Less Time.” I especially want to make Amy’s Crosshatch Quilts in this class using a layer cake and a jelly roll. You can find both of these by clicking the image below. As well as Joanna Figueroa’s classes Simple Fresh Quilts and Smarter Strip Quilting. Find all Craftsy’s Quilting classes by clicking the image below. 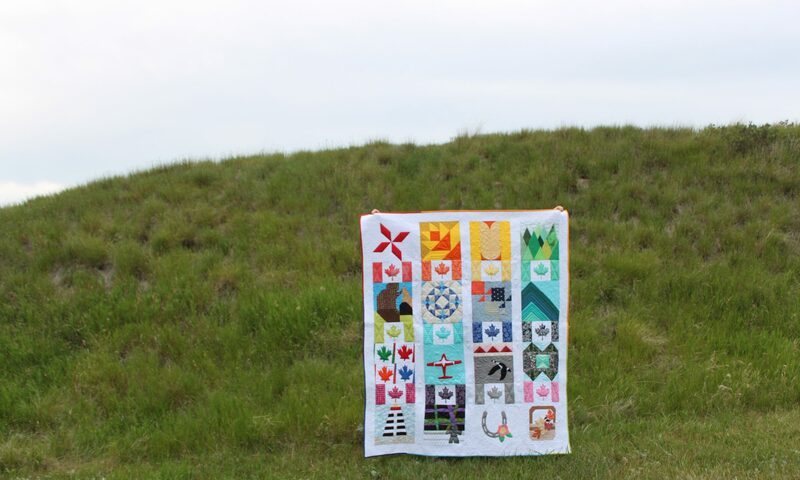 Craftsy also has quilt kits already put together for you which is another time saver. Click here to find quilt kits here. I plan to order the kit for this gorgeous “Colorful Cathedral Quilt” pictured below. I really like Being Charming and Tokyo Star Flowers.